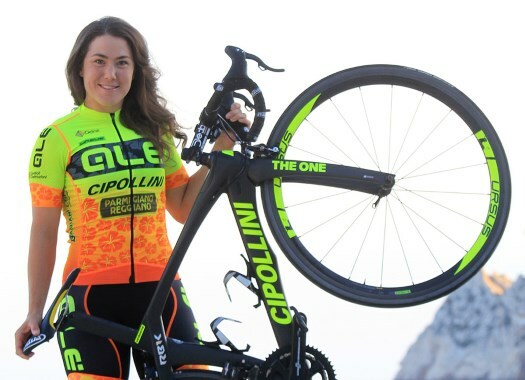 Ale-Cipollini's Chloe Hosking has taken the win of the first stage at the Herald Sun Tour. The Australian was the fastest at the final sprint and crossed the line ahead of Rachele Barbieri and Lotta Lepistö. The first day of the 2.2. race took place in Philip Island over a 97.9-kilometre route that was in the autodrome in which the Australian MotoGP Grand Prix is held. Trek-Segafredo's Ruth Winder was one of the stars of the day with a solo breakaway that started in the sixth lap and lasted until a lap and a half from the finish. The peloton was led by teams that wanted to force a finish sprint and set a pace that was impossible to beat for the American rider. At the last kilometre, only eight riders remained in the front at seven seconds from the chasing group, and Hosking showed to have the better legs, crossing the line in first position ahead of BePink's Rachele Barbieri, Trek-Sgeafredo's Lotta Lepistö, Mitchelton-Scott's Gracie Elvin and Tibco-SVB's Alison Jackson. "I am very proud my teammates and staff, they did an impressive work today," said Hosking at the end of the stage. "Now there is one day of racing left here in Australia, alé, alé, alé!" The Australian also took the lead of the General Classification.